As late as 2007, Anglo Irish Bank was a darling of the markets, internationally recognized as one of the fastest growing financial institutions in the world. By 2008, it was bust. The Irish government's hopeless attempts to save Anglo have led the state to ruin - culminating in a punitive IMF bailout in late 2010 and threatening the future of the euro. Now, for the first time, the full story of the bank the Sunday Times described as 'a building society on crack' is being told - by the journalist who has led the way in coverage of Anglo and its many secrets. Drawing on his unmatched sources in and around Anglo, Simon Carswell of the Irish Times shows how the business model that brought Anglo twenty years of spectacular growth was also at the heart of its - and Ireland's - downfall. He paints a vivid and disturbing picture of life inside Anglo - the credit committee meetings, the lightning-quick negotiations with property developers, the culture of lavish entertainment - and of the men who presided over its dizzying rise and fall: Sean FitzPatrick, David Drumm, Willie McAteer and many others. This is not only the first full account of the Anglo disaster; it will also be the definitive one. 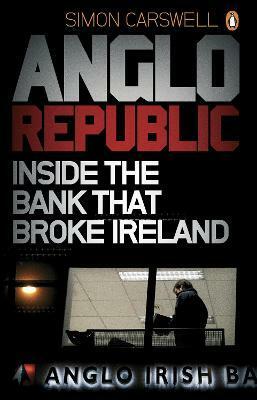 Simon Carswell is Finance Correspondent of the Irish Times and the author of Something Rotten: Irish Banking Scandals.